Standard moving package: The traditional movers that we offer are some of the best in the entire SE16 area. They'll handle any size and type of removal that you want, and they'll provide a high quality service as well. We provide a great service for furniture heavy moves. Man with a van service: If you're looking to make a small relocation on a tight budget, the man with van services might be better suited. If there isn't much bulk to your move, this one's for you. Our removal van hire is what you could call a niche service. Our other services are fully featured removal services where professionals will handle all of the work for you. With our van hire, we provide you with a properly maintained and dependable van, and everything else is optional. To build your own move, this is what you want. For more information, call our helpful local representatives on the usual number: 020 8746 4402. It was a port town for long time, and the evidence of this is quite apparent. The Greenland dock is the largest surviving dock, and is based on the south bank. It's one of the focal points of the area, and gives the area a certain character. Of course, these days the majority of the docks have been converted into housing and commercial buildings, which means there's a vast space to move into! The area is located in South East of London. 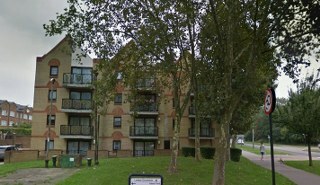 Rotherhithe is in the SE16 postcode district, and is part of the London borough of Southwark – this borough is known for having a variety of unique housing, and this area is no exception to this. It's a place that's full of character. It is also a well connected place – there are two major stations in the area. Rotherhithe station is a London Over ground station on the East London Line and Canada Water is an important Over ground connection hub. The latter provides connections to the East London and Jubilee line, so it provides plenty of access to other London areas. There are prominent bus, boat and cycling routes in the area as well. Moving a home takes a lot of work and planning, so it is important that things are done right from the outset. Look at your options and circumstances, and consider which type of move to make. Here at Moving Service we provide a variety of options, so no matter what, you will be in safe hands with us. Those are our base packages, and there's plenty of additional service options that we can provide in SE16 area at your request. Regardless of which service you end up going with, we provide service quality and convenience in spades. So for a convenient and efficient removal package in Rotherhithe, SE16 give us a call on 020 8746 4402. The sooner you call, the sooner we can help sort out your dream removal. Have a happy moving!